Whereas Nintendo’s recently announced 2DS has seen the system undergo a radical redesign, Sony’s newly unveiled thinner PlayStation Vita retains all the curves of the original. The new model – out in Japan 10th October – is 20 per cent slimmer and 15 per cent lighter than the existing model. The battery has seen a boost also and is now said to offer an extra hour of play, taking to total up to the 6 hour mark, while the 1GB onboard memory is a pleasing new addition. Those PS Vita memory cards aren’t cheap, after all. Speaking of which, a 64GB memory card will be available on the same day in Japan. 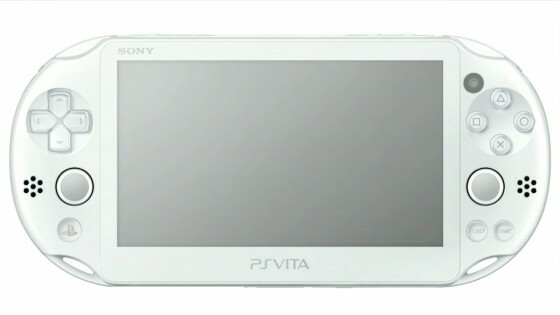 Sony will also be releasing the new PS Vita – catchily named PCH-2000 – in an array of colours: yellow, pink, white, gray, lime green and light blue. During Sony’s conference from earlier today they also announced the PlayStation 4’s Japanese release date (22nd February) alongside the PlayStation Vita TV – a small box allowing PlayStation Vita games to be played on a TV. The 9480 yen (£60-ish) device launches in Japan on 14th November. Expect European launch details of Sony’s new slimline baby soon. We almost didn’t notice, but it turns out the PS Vita is one year old this weekend. Being the modest little handheld that it is, we thought we’d bake it a cake and surprise it with the birthday bumps! When the PS Vita was first announced in January 2011 we were reasonably impressed with it, silly name aside. Sony’s decision to use commodity smartphone components was a wise move, one that they’ve recently repeated with the x86-based PlayStation 4. The launch games – particularly Uncharted: Golden Abyss – were suitably impressive, and once we got the device in our hands we were really satisfied with the high build quality of the device. Viva la Vita, we thought. 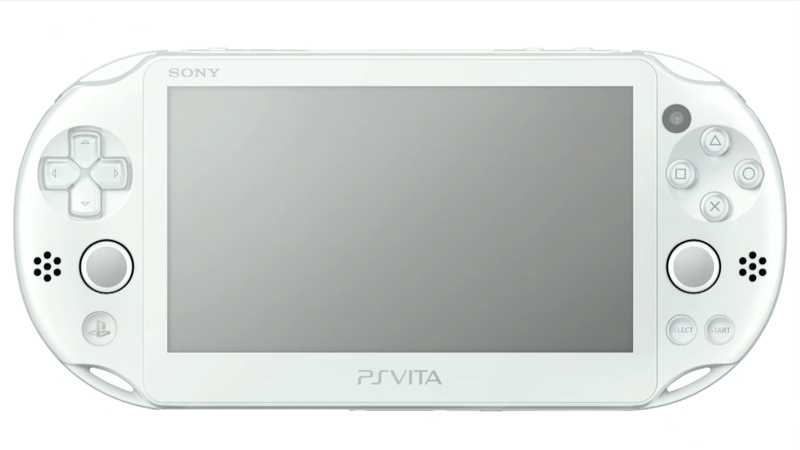 At the same time, everyone has been a little skeptical about Sony’s handheld. The original PSP suffered from a slightly generic and malnourished games catalogue, with the Nintendo DS ultimately beating it up and stealing its lunch money. This time around, whilst the Nintendo 3DS poses a threat to the PS Vita, ultimately the biggest threat to both devices (and arguably console gaming in general) has come from iOS and Android smartphones and tablets. £35 PS Vita games will always struggle against 69p or even free mobile games. According to online retailers the next release due out at retail is Sega’s Anarchy Reigns on 11th January. Those hankering for a new game shouldn’t despair though – there are plenty of new releases to download this week. A double whammy of Oddworld titles leads the way – Oddworld: Stranger’s Wrath HD on PS Vita for £9.99 and Oddworld: Munch’s Oddysee HD on PS3 for £7.99. Stranger’s Wrath has taken ten months of hard work to make it onto Vita. That’s nearly twice as long as Black Ops: Declassified’s development cycle. There’s new touch-screen controls and the visuals have been spruced up. We really enjoyed Stranger’s Wrath when it was first released on Xbox many years ago. 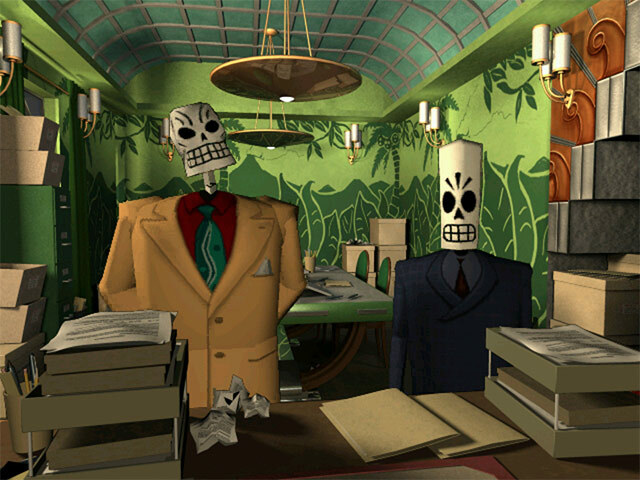 It was something of a shame that back then EA chose not to promote it at all. 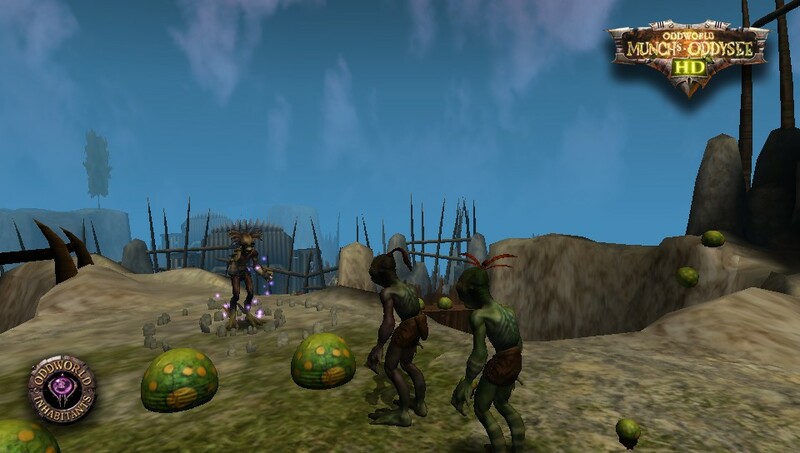 Oddworld: Munch’s Oddysee HD on the other hand features new audio, art assets and unlockable concept art. 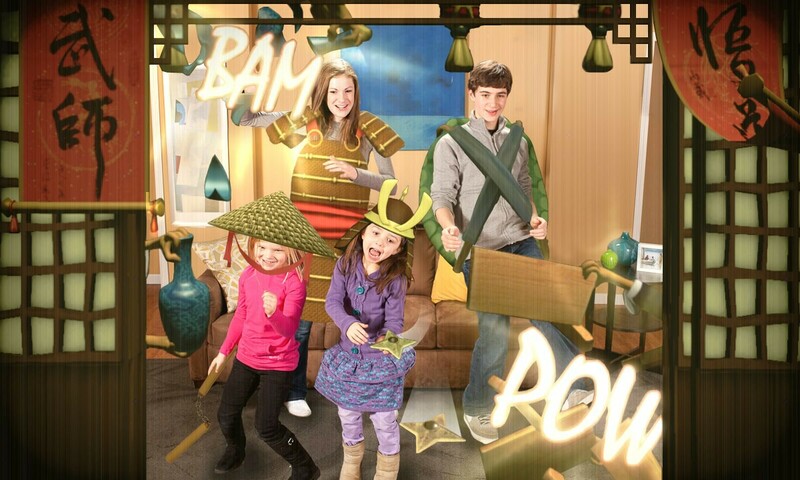 This started out as a multi-format game until Microsoft snagged it to become the Xbox’s premier platformer. Karateka, Zombie Driver HD, Knytt Underground and Labyrinth Legends should also be on PSN by the time you read this. Prince of Persia predecessor Karateka and top-down shooter Zombie Driver HD were released on Xbox 360 a few months back to mixed reviews. Knytt Underground meanwhile is a 2D plaforming series that started out as homebrew before becoming a fully-fledged release. They have managed to gain something of a cult following over the years. There’s not a great deal going on over on Xbox Live Arcade apart from Double Fine’s Kinect Party being released for free on Tuesday. If you’re planning to download it then make sure you grab the Star Glazer add-on too as that’s also free currently. Microsoft has however started their big Christmas sale on Xbox Live, so if Kinect Party isn’t your cup of sugar-filled soft drink then there might be something in the sale to tempt. Jet Set Radio HD for 400 MSP is something of a bargain. A couple of Wii U eShop games have been cut this month, even though they aren’t even a month old yet. Little Inferno is down to £8.39 while Chasing Aurora will now set you back £5.39. We think we’d rather have Dr. Mario on 3DS Virtual Console, which is £1.19 until 27th December. 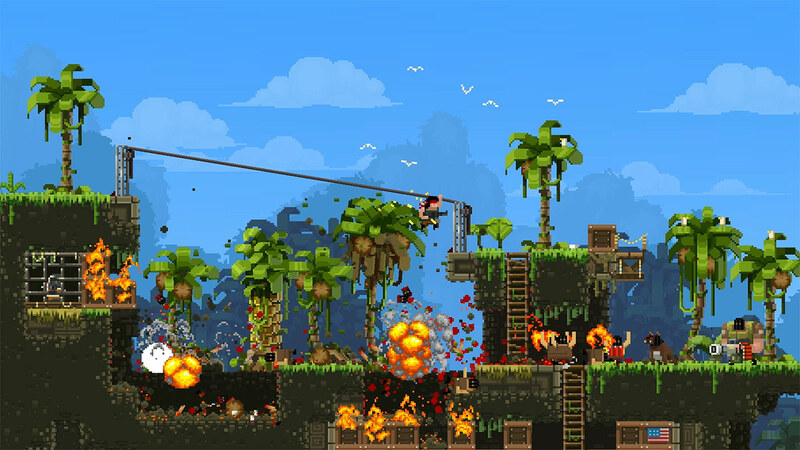 Then’s there are two new 3DS releases to consider – escapeVektor from Australian developer Nnooo, available for £8.99, and ‘old skool’ platformer Gunman Clive for £1.79. 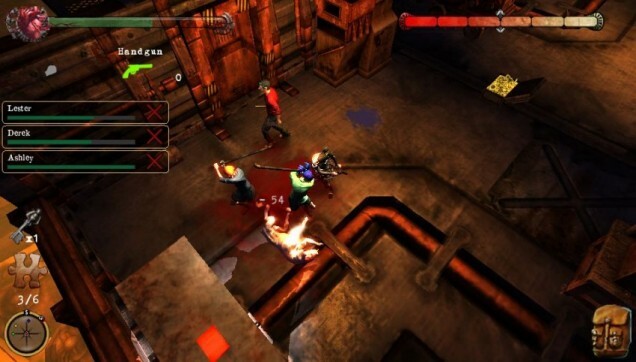 The WiiWare version of escapeVektor was very well received, gaining a 9 from IGN. Next week: Charades, Monopoly, find granny’s glasses and hunt the receipt. Earlier this year it was announced that Criterion are now behind the steering wheel of the Need for Speed franchise. This more than likely means no more Burnout, but as NFS: Hot Pursuit proved Criterion are able to bring the best bits of Burnout to Need for Speed and make them better experiences for it. The first review of Need for Speed: Most Wanted – which shares its name with 2005’s Need for Speed – was a 9/10 from EDGE which generated a lot of excitement. This was then followed up by an 8/10 from Eurogamer. “This isn’t quite paradise, but it comes very close,” they said. Criterion have focused a lot of attention into the PS Vita version and their promise of a decent conversion seems to have paid off – the first review in is an 8/10 from Pocket Gamer. They note that the graphics aren’t quite as hot as the console versions and there’s a distinct lack of traffic but still called it an impressive effort. We’re pretty sure that a long time ago Ubisoft said that they didn’t want the Assassin’s Creed franchise to become a yearly thing. 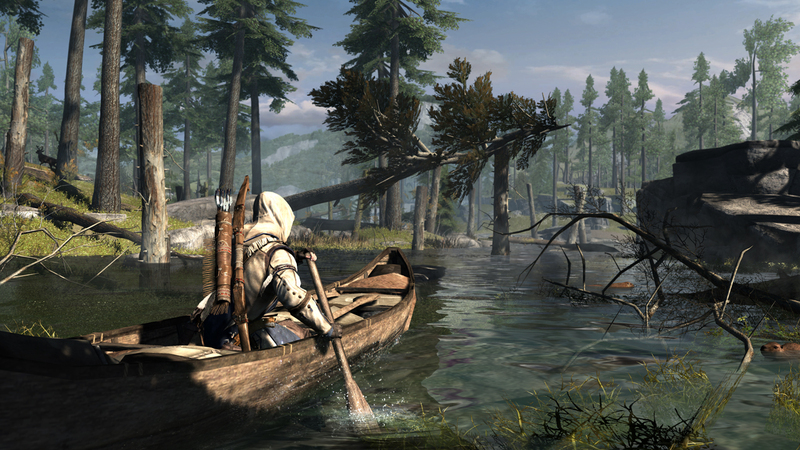 If that was the case then it hasn’t happened, and the strength of the brand is likely to blame, but there has in fact been three years of development time put into Assassin’s Creed III which makes it Ubisoft’s most ambitious release yet. Reviews suggest though that maybe it has been a little too ambitious. Other review scores, such as EDGE’s 8/10 and Eurogamer’s 9/10, are a lot more positive as a whole but most reviewers do seem to agree that you have to put up with a lot of glitches that really shouldn’t be present. Eurogamer also noted earlier in the week that the multi-player mode has some cheeky micro-transactions in place. The PS Vita-exclusive Assassin’s Creed: Liberation has also been subject to criticism. “Liberation feels like an unimportant side story in a far more ambitious tale, one that you don’t really need to hear. If you’ve never played an Assassin’s Creed game before, then this is a terrible place to start,” said Venture Beat in their review, where they awarded it a mediocre 55/100. CVG on the other hand thought it was worth an 8.0 but pointed out that “the score is relative to the platform”. The PS Vita also receives Silent Hill: Book of Memories this week but we wouldn’t get too excited if the verdict by The Metro’s GameCentral is anything to go by. They gave it a resounding 3/10: “A bad idea, poorly realised. Not only does this sully the already tarnished name of Silent Hill but it’s a tediously poor dungeon crawler in its own right.” Destructoid’s review echoed this but they were a bit more generous with the score – a 6.5. There aren’t many other new games out. Dragon Ball Z: Budokai – HD Collection features Dragon Ball Z: Budokai 1 and Dragon Ball Z: Budokai 3, but not Budokai 2 for some reason, Nike+ Kinect Training looks like a pretty exhaustive package, and Batman: Arkham City – Game Of The Year Edition is the definitive way to experience the best superhero game of recent times. Zavvi are offering it in a bundle with Arkham Asylum: Game of the Year Edition for £29.95, which is a pretty good deal seeing as they’re selling Arkham City: GoTY Edition for the same price on its own. 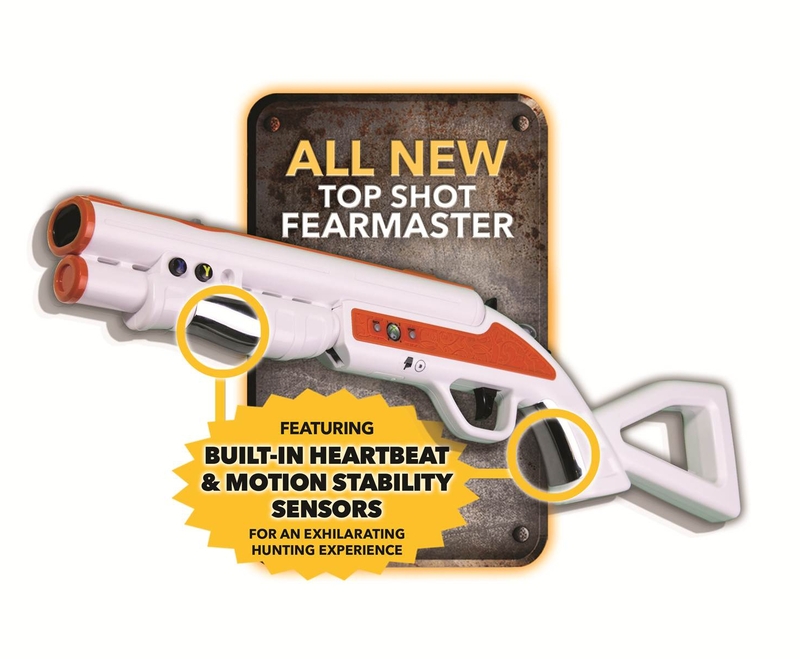 Then we’ve got Cabela’s Dangerous Hunts 2013 which comes with an intriguing peripheral – a gun that measures your heart rate and then uses this data to adjust the accuracy. It’s also available without the gun if you feel you have enough clutter around the house. 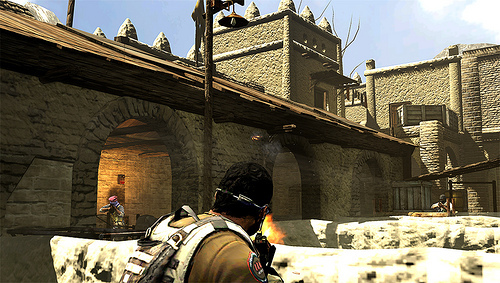 It sounds like Activision have put more money into it than previous Cabela games – the storyline has been penned by the writer of The Fringe. Given the series’ reputation though, it would be wise to wait for a few reviews to surface. Next week: Halo 4 (360), Ratchet & Clank: Q-Force (PS3), LittleBigPlanet Karting (PS3), Kinect: Marvel’s Avengers – Battle For Earth (Kinect), Saints Row: The Third – The Full Package (PS3, 360, PC), Kinect: Zumba Fitness – Core (PS3, 360, Wii), Mass Effect Trilogy (360, PC), Tropico 4: Gold Edition (360, PC), Andrew Lloyd Webber Musicals: Sing And Dance (Wii), Rabbids Rumble (3DS) and Spy Hunter (3DS). Sony has released a list of the PSone Classic games that’ll be playable on PS Vita following today’s v1.80 firmware update. 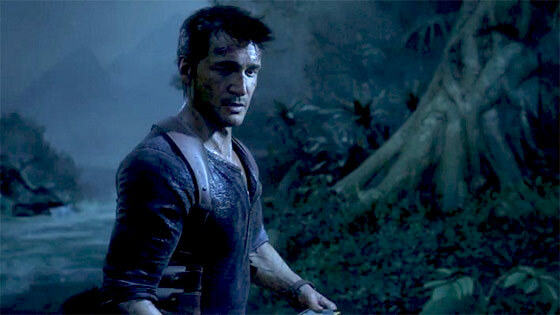 You can view it on the PlayStation Blog here. It’s an impressive list. There are plenty of classics – including Crash Bandicoot, WipEout, Abe’s Exoddus, Final Fantasy VII, Resident Evil 2 – and also a handful of more obscure titles like Bishi Bashi Special, Galaxy Fight, Sheep, Sorcerer’s Maze and Cho Aniki. If have already purchased these titles, you will be able to re-download them directly from your PS Store account or transfer them to your PS Vita directly from your PS3. American PS Vita users have found that their list wasn’t quite 100 percent accurate, so don’t be surprised if some of the games on European list aren’t available either. I don’t think we’ll ever understand publishers. Capcom’s ‘interactive anime’ Asura’s Wrath was pushed back from last month to this month, but what a day to choose to finally release it. Not only is it going up Mass Effect 3 but also Capcom’s own Street Fighter X Tekken. 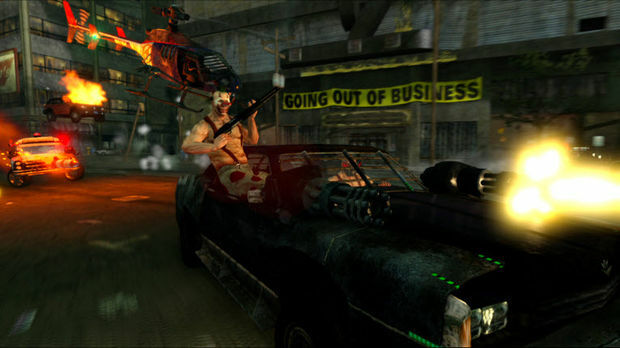 There’s Twisted Metal on PlayStation 3 and Metal Gear Solid: Snake Eater 3D on 3DS too. I suppose it does stand a very good chance of outselling Calvin Tucker’s Farm Animal Racing Tournament on Wii though. “Get Yerr Redneck On” indeed. Asura’s Wrath has all the hallmarks of a future cult classic, much like killer7 before it. If you fancy trying before buying there’s a demo available which features two boss battles from much later in the game, both of which are suitably epic in scale. Don’t expect to find a copy in GAME however as they aren’t stocking it. 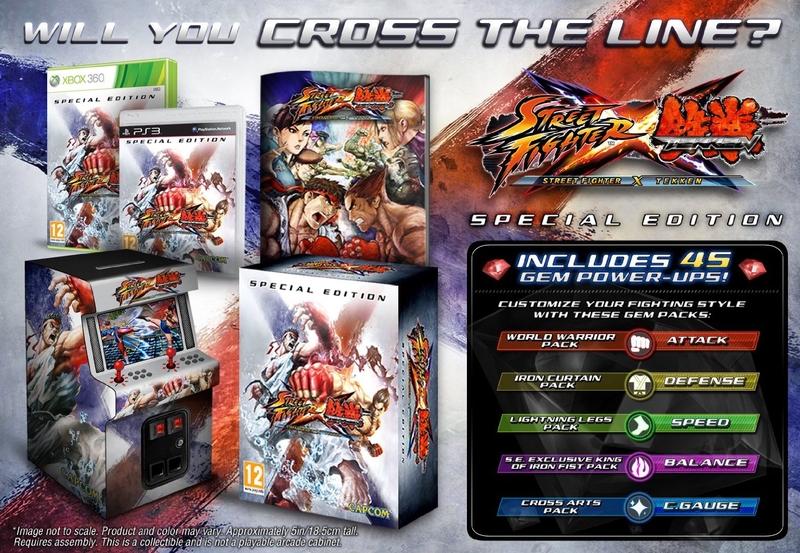 GAME aren’t selling Street Fighter X Tekken either, even though they were offering a special edition with a neat looking arcade machine money box. “This is not a playable arcade cabinet,” reads the disclaimer. Scores include Eurogamer’s 9/10. Mass Effect 3, then. Review scores including a 9.5 from IGN and 93% from Play suggest that it doesn’t disappoint… unless you’re hoping to copy save files over from Cloud Storage on Xbox 360, which apparently isn’t possible. The day one DLC has caused a little bit of a fuss as two achievements are linked to it as well, but this is no reason not to buy it. The combat has finally been brought up to a decent standard to match the rest of the experience, while Shepherd and his cohorts have never looked better. Over on the handhelds there’s Metal Gear Solid: Snake Eater 3D and Unit 13. Snake Eater 3D has been a long time coming but the wait has paid off – it’s an essential purchase for 3DS owners. Or at least those who didn’t buy Metal Gear Solid HD Collection earlier this year. Nintendo Gamer said it’s the best version of the game and awarded it 93%. Unit 13 on PS Vita also sounds like a safe purchase with an 8/10 from Eurogamer Sweden. “Unit 13 has great controls, lots of variety and content that may outlast many other shooters on the market – no matter what platform you’re playing on. Not bad for a game that is released during the Vita launch window.” The Guardian didn’t quite like it as much though, giving it a good but not quite as impressive 6/10. Next week: FIFA Street (PS3, 360), Inazuma Eleven 2 (DS), Saint Seiya Sanctuary Battle (PS3), Yakuza: Dead Souls (PS3), Ben 10 Galactic Racing (3DS), BIT.TRIP Complete (Wii), BIT.TRIP Saga (3DS), Cabela’s Big Game Hunter 2012 (PS3, 360, Wii), Captain Morgane and the Golden Turtle (PS3, Wii, DS), Hello Kitty: Big City Dreams (DS).